Last week was the big Game of Thrones Season 4 Premier so we had a big feast to celebrate and watch the show. 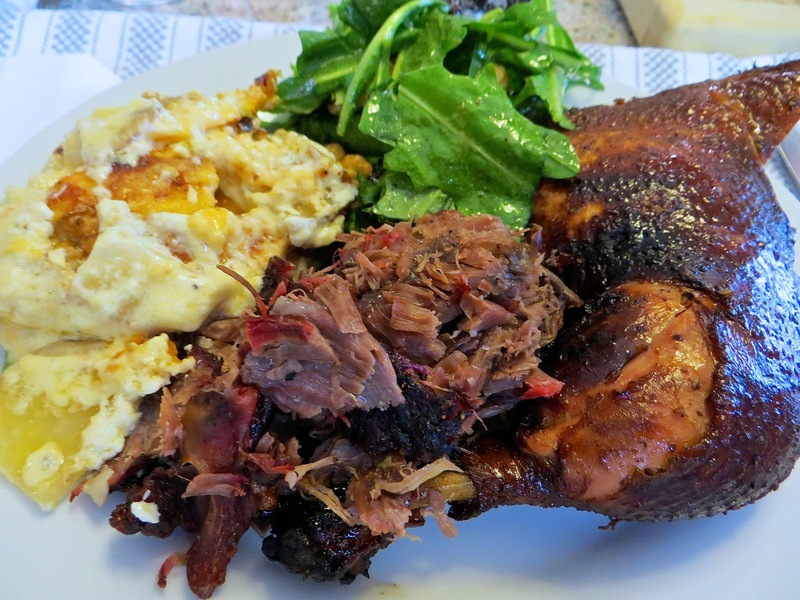 Like an alcoholic always looking for an excuse to drink, we’re always looking for an excuse to eat! And like they say, misery loves company, so we decided to invite a few friends over and turn this gorge-apoloza into a potluck! We started the evening with a cheese & cured meats board. 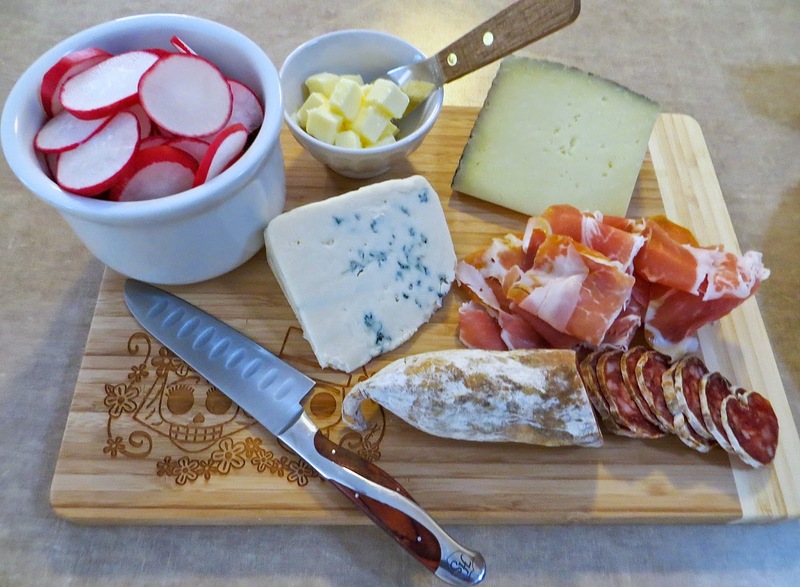 Mrs. AlbuKirky absolutely loves to create festive cheese platters. It may look simple but I think this probably set us back $60 because we bought everything at Whole Foods. Do you think they have a very expense health food store in Westeroos? Maybe Geoffrey’s anger stems from a gluten allergy?? For the Feast of Thrones I made a very rustic and medieval whole beef shank. Look’s pretty impressive. The beef was delicious, but my recipe needs a little work before it’s blog-worthy. Best part, after eating all the meat you can use the bone for a weapon. Trissi & Sean, who we affectionally refer to as Tron, actually consulted the Game of Thrones Cookbook for their feast dishes. 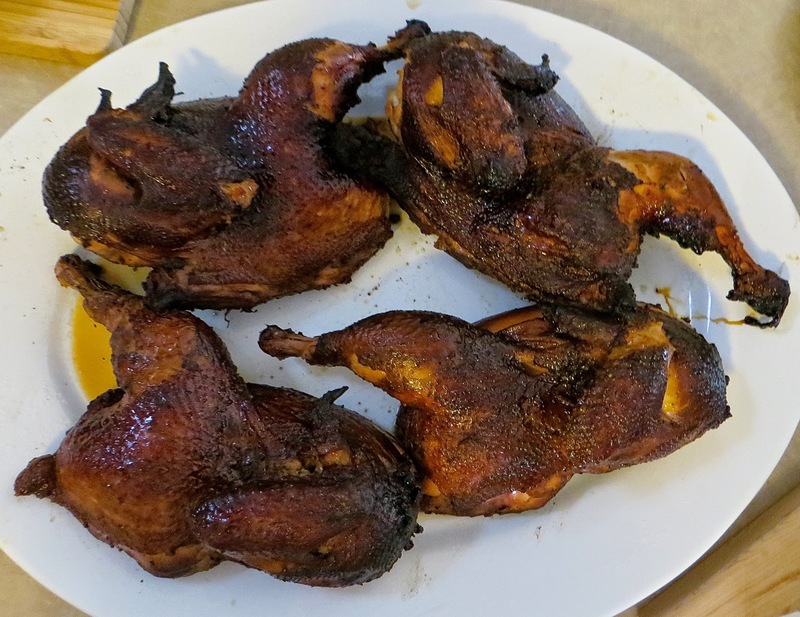 Sean made the Honeyed Chicken but went rogue and decided to cook it in his smoker. It was a very tasty chicken with a lot of big flavors. 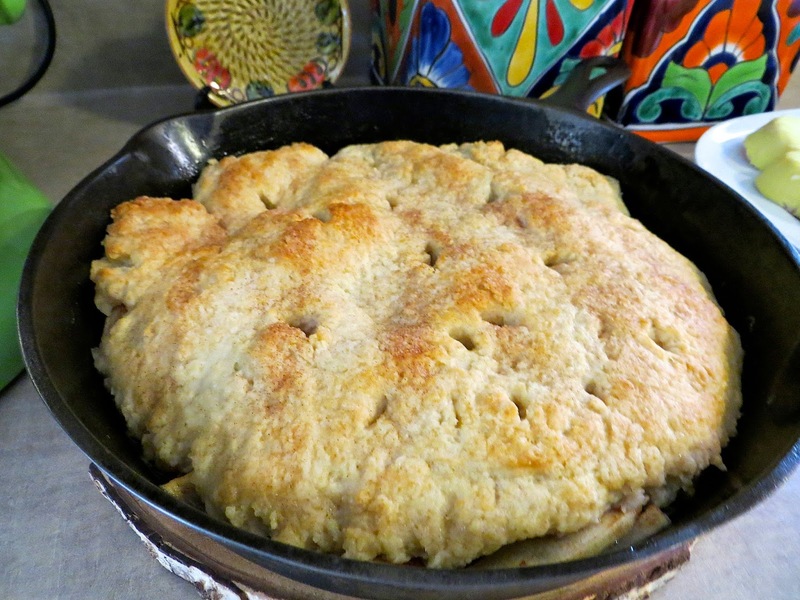 Not to be out done, Trissi had to bring two dishes and a loaf of bread, Castle Black Salad and a very rustic looking Apple Pan Doudy. 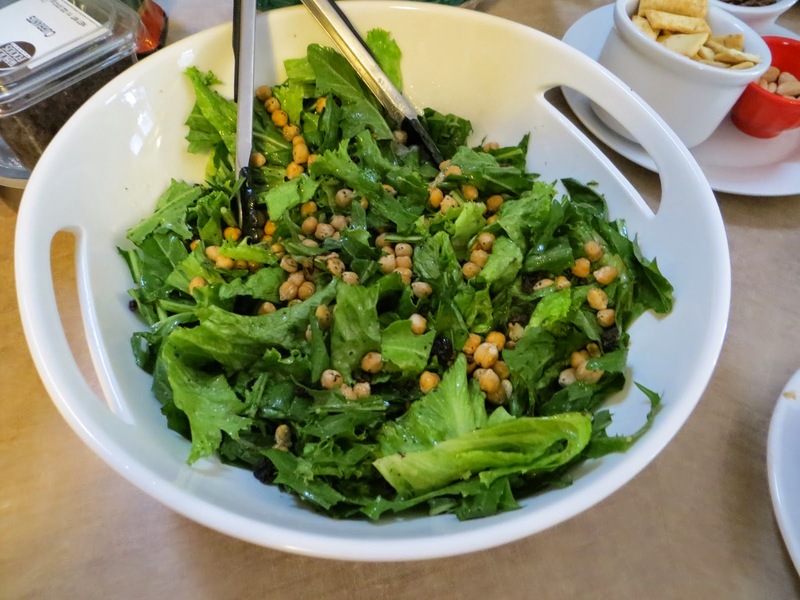 With all that meat you gotta have some greens, yah know. 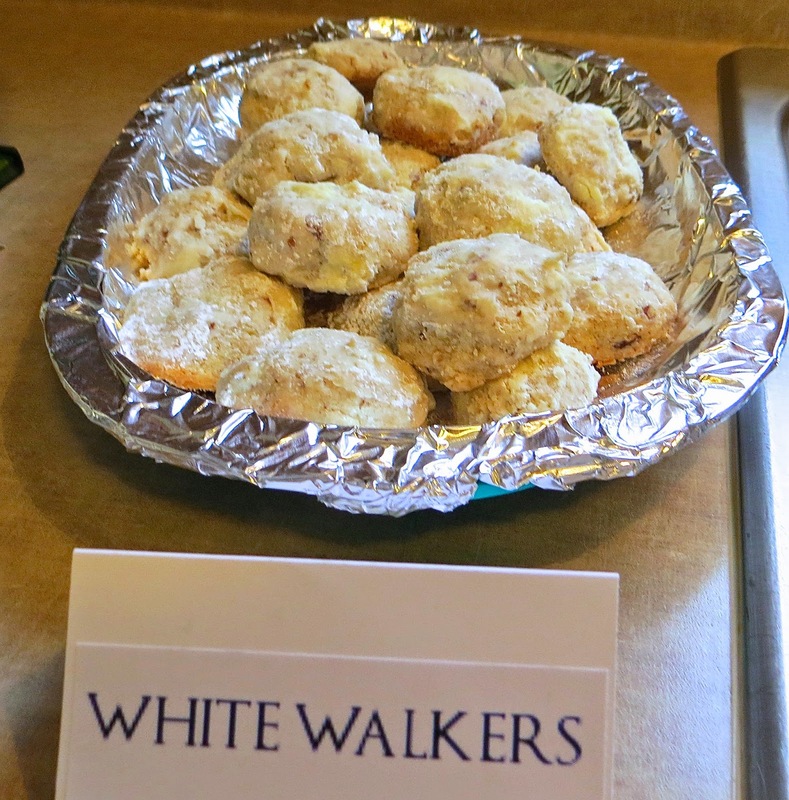 Shay, the crafty comedian, actually created placards for her White Walker Cookies. As you can tell, we had quite an impressive feast. It was a fantastic evening of food, drink and dragons, actually there was not enough dragons. This season looks like it’s going to be pretty epic. I predict there will be plenty of blood, maybe some more beheadings and lots of boobies! For the Mad Men premier I think were just going to drink old fashions and smoke a couple of cartons of Lucky Strike cigarettes. I've never even watched the Game of Thrones (Too busy catching up on Walking Dead, House of Cards, etc) but it's on our list. 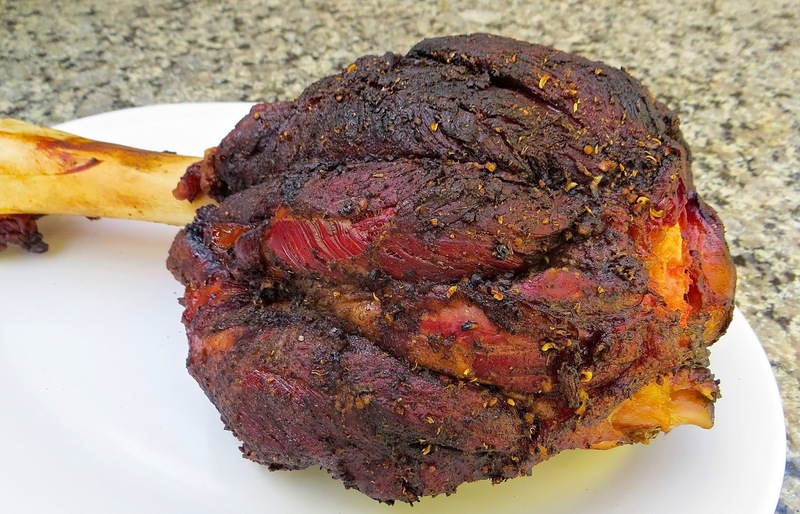 The beef shank is something that I want to get into. I'm thinking a beef stock/aminios injection and a rub of salt, black pepper, green pepper, dried bell peppers, garlic and onion all ground up. Slow roast to more like brisket temps to break down all the connective tissue. Is that in the ball park of what you did? I'm not sure about the temps but it seems to make sense to me. I cooked the Beef Shank like a brisket, to about 195-205º. I didn't use an injection but I think I needs one, it doesn't have a lot of fat in the meat to stay moist like a brisket. There's a recipe in my Adam Perry Lange book I'm going to try next time. We are total TV Junkies or Sunday Dinner revolves around food & TV. Walking Dead is one of our favorites. Now it's Game of Thrones and Mad Men. If we have some time in our schedule we'll start House of Cards.